← Should our schools be agents for social change? 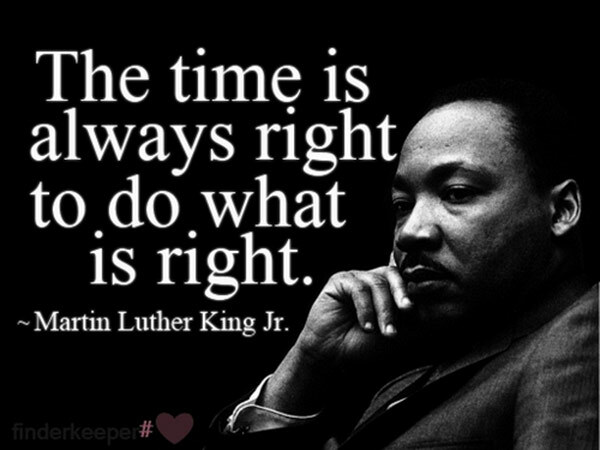 In honor of Dr. King, do something because it is right. 2 Responses to Remembering Dr. Martin Luther King, Jr.
DeKalb students were awesome in the commemorative service! I sent a prayer up today in thanks for Dr. King’s teachings and his struggles for basic civil rights for everyone. I am so grateful for the changes he instituted that personally affected and benefited me. He touched and improved the lives of an untold number of people all over the world.